Kimberly Coles was born on 11 January 1962, in Brooklyn, New York City USA. She is a game show host, comedian and actress, probably best known for being a part of the sketch comedy “In Living Color”. She was also part of the series “Living Single”, and was the host of “Pay it Off”. All her endeavors have helped put her net worth to where it is today. 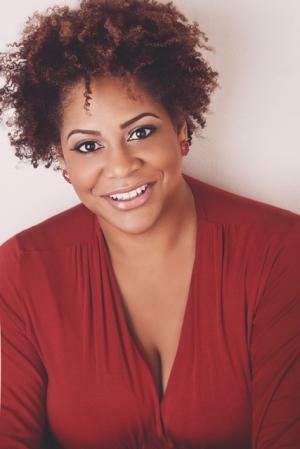 How rich is Kim Coles? As of mid-2016, sources inform us of a net worth that is at $1 million, mostly accumulated through her career on television, aside from which she’s also tried her hand at writing books, as well as participating in a few game shows herself. As she continues her career, it is likely that her wealth will increase. Coles attended a private Lutheran school, and when she got into high school she realized that she had a good sense of humor. She then entered a beauty pageant while she was attending North Carolina Central University, and this was also the first time she showcased her skills in comedy. Her first appearance on television was in the show “In Living Color”, being an original cast member. After leaving the show, she became a part of “Living Single” alongside Queen Latifa, portraying the character Synclaire James. She was also part of “One on One” by UPN. Eventually she made more television appearances, which included “Frasier”, “Six Feet Under”, and “The Geena Davis Show”. Her net worth rose steadily. Aside from these shows, Kim appeared in reality television shows such as “Celebrity Mole: Hawaii”, from which she was the first to be eliminated, then participated in the “Celebrity Fit Club” and lost four percent of her body fat and 10.2 percent of her body weight. In 2000, she became a regular panelist in “To Tell the Truth” which was a revival of an older show with the same name. She also did guest hosting for “The View”, and became a co-host for “The Loop with iVillage”. In 2009, she became a game show host for “Pay It Off” which lasted for one season, and also appeared in “RuPaul’s Drag Race” and “Life After”. Aside from these, Kim is known to regularly perform as a stand-up comedian, taking material from her personal experiences and struggle with being overweight. She also does notable impressions of characters such as Robin Givens and Marla Gibbs. She’s also authored a book entitled “I’m Free But It Will Cost You”. All her activities have contributed to her net worth. For her personal life, it is known that Coles has married twice, firstly to Aton Edwards from 1985 to 1995, and now to former SWAT Reggie Mckiver – they’ve been married since 2015. Kim is 12 years older than Reggie and the couple married at the Dominican Republic. The pair reportedly met while Reggie was assigned as part of Kim’s security detail. Prior to the wedding she held a bachelorette party that was comedy themed and had many comedians in attendance.